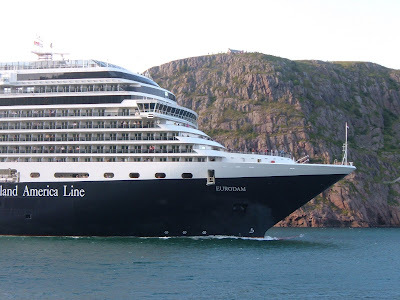 The Eurodam visited St. John's Aug 24, 2008. This brand new ship made her maiden voyage July 5, 2008. Built in Italy she measures 935 feet and has a gross tonnage of 86,700.